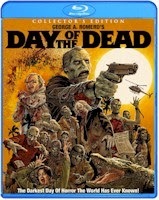 I have been making some top ten lists as of late, and decided that next up should be my favorite zombie movies. As you may notice from the list, I like humor and George A. Romero. The originator of the modern genre, and it has to have a place high on any top zombie movie list for it's influence alone. This movie holds up well even after 40+ years, and has influenced most if not all of the films on my list. One of a few movies on this list, that I saw when I was young. This has a nostalgic place on my list with the old fashioned comet flying past earth that wreaks havoc. The people who watched the comet for the longest died and were turned to red dust, those who watched the comet for a brief time became zombie, and those who did not watch the comet were normal. The Brad Pitt movie that featured fasting moving army ant-like zombies was entertaining. I liked the way around the zombies in the movies when they didn't attack the weak or sick, that was an interesting twist on the genre. I also enjoyed getting to see a large scale zombie apocalypse and world travel, instead of being confined to a small area. This was the first zombie film I remember seeing as a kid that had humor (the second one even more so), and yet it still scared me. This was available on Amazon Prime Video a while back and I re-watched it for the time in forever. Remakes and reboots have been a trend in a Hollywood for a long time now. This is one remake that I like more than the original. I know these films are not popular with everyone, but I have re-watched all five movies several times, and I enjoy the super heroics of Alice in her dealings with zombies and the Umbrella Corporation. Romero let the zombies grow and evolve in this chapter of his series, and by the end you are rooting for "Bub" to get Rhodes. I love the humor/horror mix in this film, the cast is brilliant. Bill Murray is so awesome in his scenes. This is also a sentimental favorite since portions of it were filmed at the near by Wild Adventures theme park. George A. Romero's masterpiece is the first zombie movie that I remember watching as a kid, and I loved the idea of living the mall for protection and supplies. The premises is still a fantastic one, which brought us a well received remake and help to inspire a popular video game franchise, "Dead Rising." 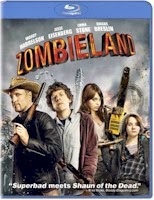 This is the zombie movie that I have watched the most. If I'm bored on a Saturday afternoon and can't think of anything else watch, this is one my choices to start up. I love British TV and British humor, so that helps to make this one my favorites. I like Shaun's journey in this movie, and I really appreciate it that this movie has a happy ending, since most zombie movies don't end well for our protagonists.